August 25, 2014 bcalvanocoachingLeave a Comment on Weekly Angel Card Reading for August 25 through 31. Weekly Angel Card Reading for August 25 through 31. Hello everyone, I hope you are having a wonderful summer! I’m on vacation so my next radio show will be September 3rd! It’s called ‘Creating Harmonious Relationships: Guidance from the Angels’at 1pm EST on Blog Talk Radio – ‘Let’s Ask the Angels’. Call in for a reading at 424-675-6837! You can also listen to the replay on Itunes or download. September’s intention is ‘Creating Harmonious Relationships’. We will look at how working with our angels can enable us to create empowering, joyous and healthy relationships. Whether we are in a relationship, looking to create one, work situations, family and even past relationships- see how allowing divine guidance can support you with more grace, ease and fun! 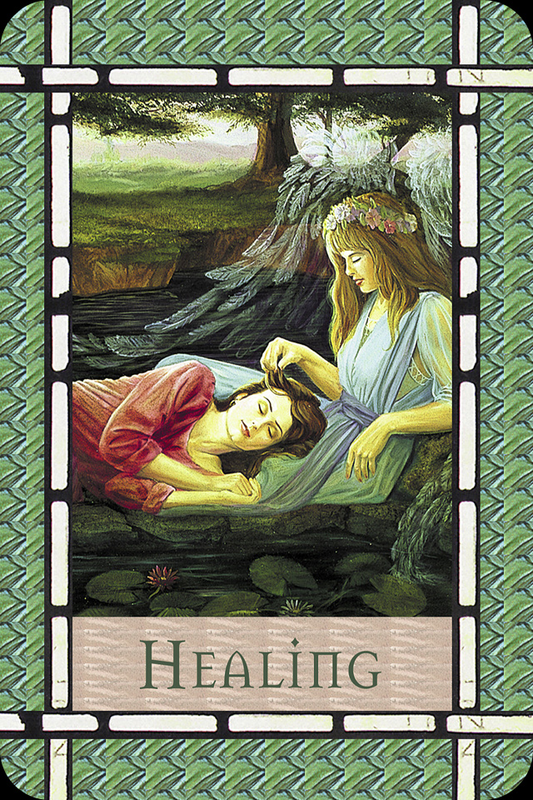 This week I am guided to use the Healing with the Angels Oracle Cards deck by Doreen Virtue. For Monday and Tuesday we have the message, “Retreat”. Have you been pushing yourself too hard? One way to check in is to ask yourself how have you been feeling this summer? It’s time for us to take a break! If you have a vacation scheduled, great, if not even a stay-cation can be helpful. This is a special time for you to focus on your truth and priorities. The angels want to help you spend some quiet time alone and reflect on what truly makes your heart sing. You will then know more clearly know where to place your energies and spend your precious time. With September almost here and we’ll be moving swiftly into Winter, it’s a good time to re-evaluate your priorities and goals. Spending time alone in nature is always beneficial. In nature we can easily detoxify from stress, anxiety and in the quiet can hear our thoughts and the angel’s messages more clearly. Take some time to pause and be still through meditation or a quiet nature walk. 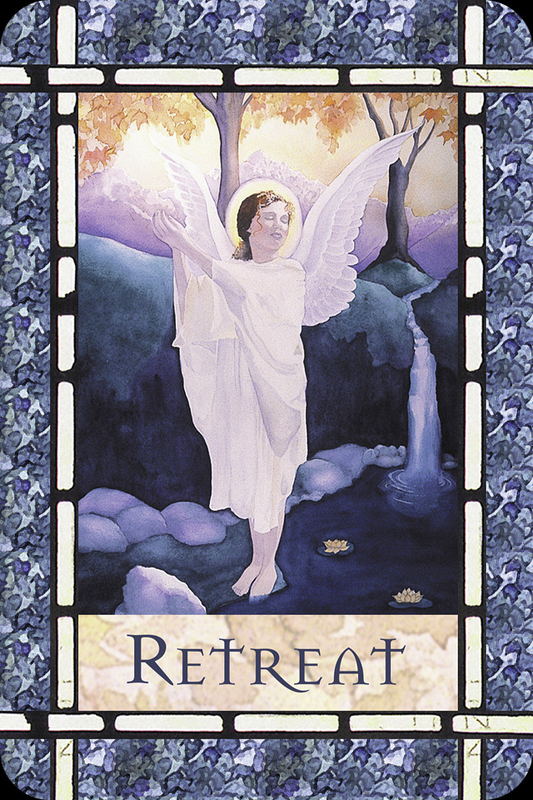 The angels say to regain balance and connection to our Self, make time to retreat at the beginning of the week. For Wednesday and Thursday we have the message, “Divine Guidance”. The angels are telling us that we are being given Divine Guidance right now in regards to questions and prayers we have asked. By following the first message of this week we can see how the angels want to get our attention and so that we can connect with them and be empowered. 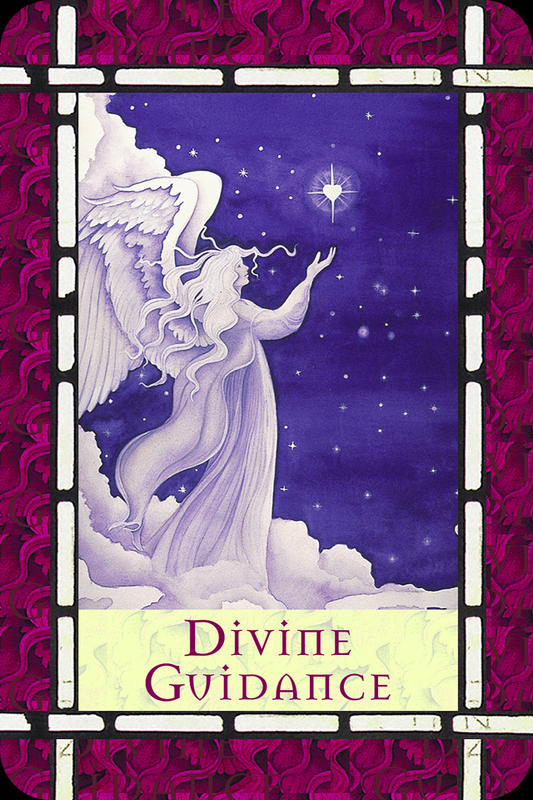 The artwork on the card shows an angel in the dark night looking up to the stars in Heaven. One shining star, shaped as a heart shines brighter than the others. This star represents the loving guidance being directed specifically for us. If you have been dealing with an issue, especially one that is recurring, know that your prayer has been heard. Often we receive messages and guidance but in truth may not want to hear it. It may not be the answer we want or we may be more attached to our drama and pain than we realize! Any situation that you are dealing with can be supported by the angels – day to day, hour to hour and even minute to minute in some necessary cases. Know that no situation is too small or too big for them to assist you with. This message is one of profound love and deepest compassion from your angels, that you are so loved by God and that your highest joy and peace is their desire, too. For Friday and the weekend we have the message, “Healing”. The angels want you to know that you are healing on a very deep level. You have been experiencing thoughts and situations that required you to take some time out, retreat and listen to your heart and angels. A healing has occurred or is occurring. Often when things don’t go the way we planned we assume something is wrong with us or our lives. Most often a healing is occurring. If we can be present without judging or adding any meaning or drama, we can powerfully assist in ‘letting it go”. This situation we may be letting go may be a habit, an unwanted personality characteristic, an addiction or attachment that has surfaced to be acknowledged and completed. If we resist or ignore it we tend to shelve it and allow it to surface again at another time some time in the future. It takes tremendous compassion and courage to be fully present to a situation, to allow a full experience of it and not judge. By doing so we can allow ourselves to heal completely. The angels tell us that this is an opportune time to heal an issue we’ve been dealing with for a long time (even past lives) and completely shift to another level of being connected to peace, empowerment and joy. This week the angels are asking us to take time out to hear the loving guidance they are sharing with us. A major healing is occurring and they are with us to guide and protect us. The angels are answering our prayers for assistance. We need only take the time to listen and hear their support! May you all have a blessed week! Personal in depth readings can be for coaching on any area of your life including your life purpose, relationships, health, career, spirituality and energy clearing and balancing. I have 60, 45, 30 & 15 minute by phone or an audio recording for you. Contact me for pricing. Bcalvano-coaching@usa.net Please read the testimonials to see clients results. Next Weekly Angel Card Reading for September 1 through 7.